Control all your gadgets from your phone! 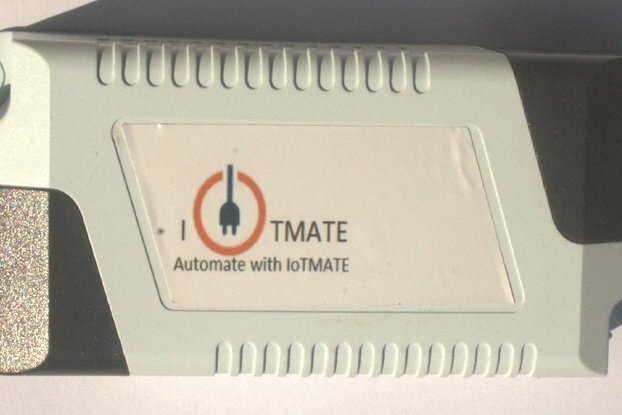 zmote is a Wi-Fi connected IR blaster with learning and monitoring capabilities. You can use it as a universal remote by placing it in your living room and controlling all your gadgets (TV, STB, AVR, Media PC) from your phone or over the web using a regular browser. We support over 3000 remotes, so you will most likely find your devices already available to use with zmote. zmote also includes an IR Receiver so you can easily teach it to control devices not in the database. Visit zmote.io for more details. We also have a demo app for you to try out. I have a Smart TV. I don't really need one of these then, right? zmote lets you control not just your TV, but also your Set-top Box, Blu-ray player, Xbox, Air-conditioner,... anything at that comes with an IR remote controller. In other words, zmote does a lot more than control just your TV. Besides, most Smart TVs are not smart enough to wake themselves up when in standby. zmote can get around that, since it uses IR signals and works just as if you were standing in the room and pressing buttons on the OEM remote that came with your TV. My phone has an IR blaster. Why would I buy one of these? zmote has two advantages over a phone IR blaster. First, you don't have to point your phone at the gadget -- in fact you can be in another room, or for that matter, another continent. So long as the zmote remains connected, you'll be able to control your gadgets with it, no matter where you are. Second, zmote can be used by all members of your family, not just those that happen to have a phone with an IR blaster on it. If you happen to have an android phone, an iphone, a blackberry (remember those? ), a tablet, a laptop, any device at all that can run a browser, zmote's functionality can be accessed: no special app or setup required. How hard is this to set up? It should take you less than 5 minutes to be up and running with zmote. If you have connected your phone to your home WiFi network, you already have all the skills you need. Take a look at our Setup Instructions. Will it work with my existing home automation setup? 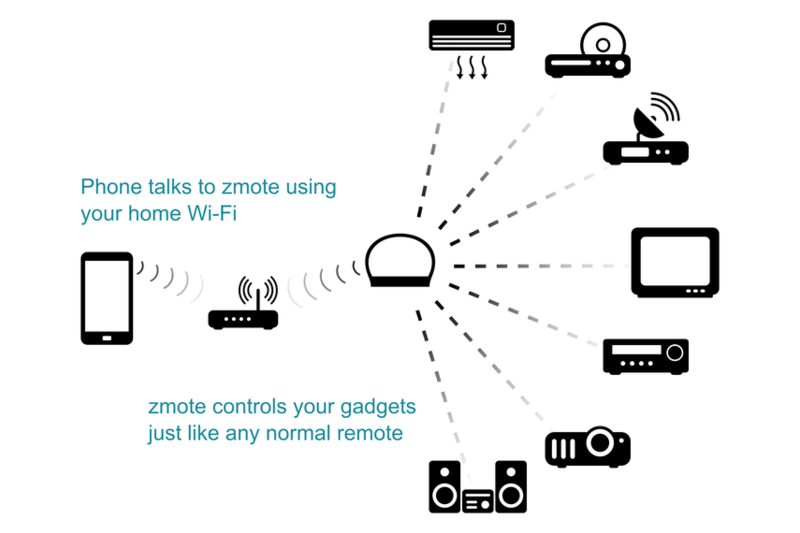 zmote is API compatible with other WF2IR (WiFi2IR) and IP2IR products supported by leading home automation systems. 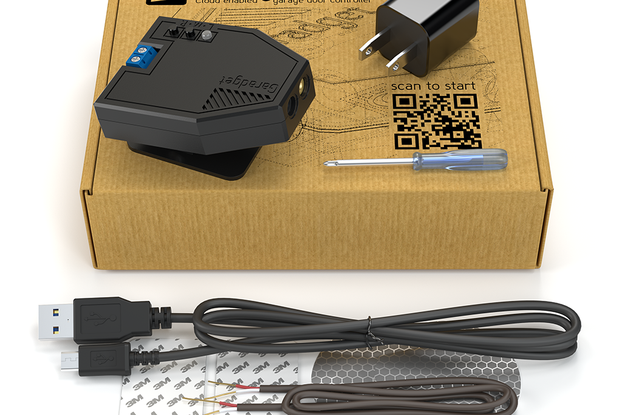 Chances are that zmote will work seamlessly with your home automation setup. Yes. If you require 20 units or more, please contact us at sales@zmote.io and we will give you a better price and provide faster, more reliable shipping options. 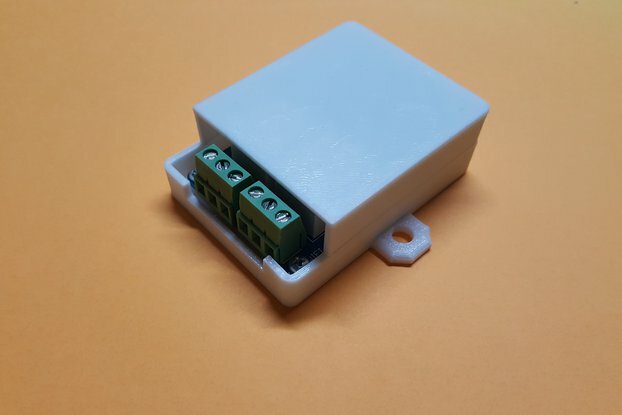 zmote is powered via a standard micro USB connector. We include a USB cable, but DO NOT include a charger in our package. There are way too many different types of plugs in the world and we couldn't possibly cater to them all. Just use any USB charger you have lying around. zmote's server relies on your browser sharing the same external IP as zmote to tell which zmotes you may legitimately control. This assumption should work for 99% of home users out there. It may break, however, if you are behind a corporate proxy server or if you are using a complex network architecture. We'd be happy to help should you run into problems. We ship to US, CA, UK, EU, AU and NZ via ordinary post. Delivery takes anywhere between 2 and 6 weeks. We will not ship to addresses in India due to tax reasons. Please write to us for alternate channels if you live in India. We do not ship to Russia, Israel, South and Central Americas due to logistic complexities (Sorry). We cannot accept product returns. The paperwork alone would kill us. If your zmote is dead on arrival, we will replace it. 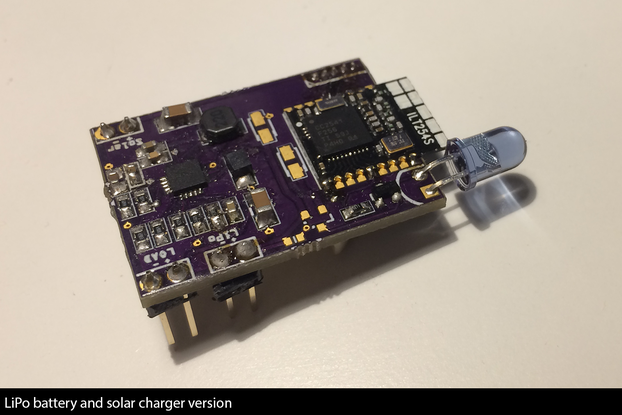 I wanted something to control my various devices which use IR remote controls, using my OpenHab-based home automation system. The Zmote works perfectly for it! The interface for creating remotes in the device itself is a little clunky - if you don't do certain editing and saving in the right order, it reverts the changes you've made (and the JSON files seem to include data for all the buttons you've deleted as well as the ones that are still there), but those are minor annoyances in an otherwise excellent product. It would be good if there were a blank remote (or, because you have to search for every remote you create, maybe there is one and I haven't found it?) I've programmed the zmote with codes for my hifi, TV, air conditioner and HDMI switch, and have easily built sequences in OpenHab to do things like turn the air conditioner on when I'm on my way home and it's a hot day, or to set up the TV, AV receiver and HDMI switch automatically to the appropriate modes for watching movies or gaming or playing music. OpenHab integration works absolutely brilliantly. Zmote is an amazing piece of technology. Nice look, small and compact yet powerful! You just connect it to your WiFi and voila! Use your mobile, web browser or home automation software to control your audio, TV or air conditioner. I am surprised it is so affordable - you can easily build quite dispersed architecture for your home/house automation (as I plan to do). Just place several zmotes in your rooms - it is so easy, no LAN cables, just WiFi. You can either use existing library of remotes or define your own ones (this is what I'm planning to do, as my Yamaha Pianocraft remote was not in the library). But even bigger surprise came with realization how 'open' zmote is! It's API is at your disposal, so just use your imagination to integrate zmote with home automation application of your choice. And define automation scenes to suit your needs. One suggestion for improvement - the list of available access points (displayed during WiFi setup phase) seems to be too short. It displayed dozen or so APs, but not the one of my interest (which was in pretty close proximity anyway). My suspicion is that current zmote firmware might work well in moderate urban environments, but perhaps fails to display all APs in my saturated (30+) apartment building. As a result, I had to connect zmote to my another access point, which had a better luck :-) and occasionally appeared on the zmote's list. Overall - wonderful, powerful and affordable product. Good packing and delivery as well. The web app is surprisingly great. Has an exhaustive set of features. It's missing a lot of remotes but it's really simple to program new ones. Scott, Thank you for the kind words. We continue to look for ways to expand our database of remotes, but have so far not been able to uncover another open stash outside of the LIRC. Do reach out to us should you face any difficulties using the zmote.